"Forget that old, moldy VW parked out back. 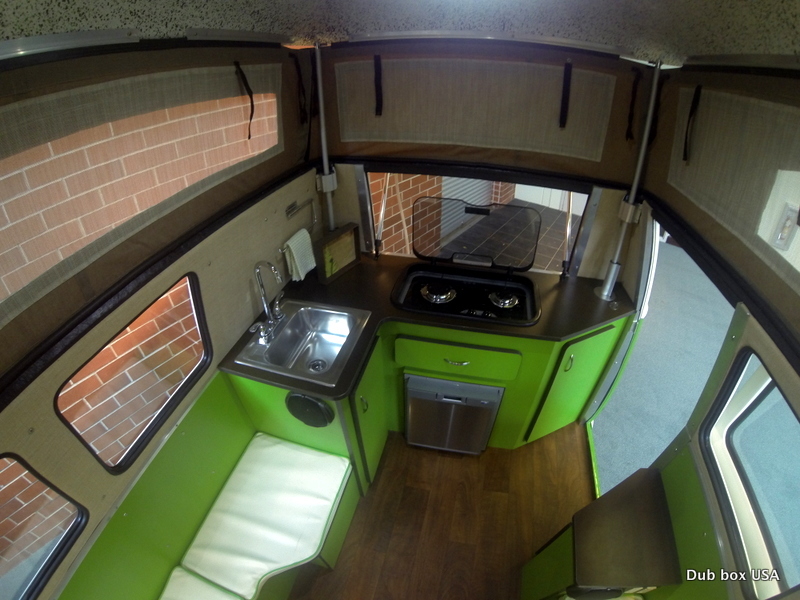 It’s time to upgrade to one of Dub Box’s pimped out campers." I have always loved the old VW bus and this is an awesome version of it. If I were in the market for a camper, this would be it! "The exterior channels all the retro appeal of the old-school vans, but inside, you’ll find more luxuries than you'll know what to do with. The campers each come with a dining area that can comfortably seat four adults, a convertible double bed, and a kitchenette with enough storage for a few days on the road." "Then there are the add-ons, which include: a stovetop; a fridge; a toilet; an outdoor shower, an awning; a weather curtain; and a Bluetooth-capable sound system." Basically it is the old VW on steroids! I really love the nostalgia of the Dub Box Campers and the appeal of the modern conveniences! If I could pull one of these along on an overland trip I would totally do it! Check them out!